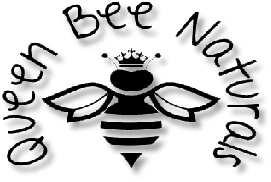 Queen Bee Naturals Delivery Info. Once your order has been processed, we carefully prepare and pack your parcel and aim to have it dispatched within 24 hours via Royal Mail 2nd Class Post. If your order is made Friday, Saturday or Sunday it will be dispatched on the following Monday, with the exception of Bank Holidays when it will be dispatched the next available working day. Unfortunately due to the nature of the products returns are not accepted. A standard P&P charge of £3.50 is automatically added to your cart at checkout. If you spend over £50 then delivery is free of charge within the UK only. Shipping to countries outside the UK will require you to pay an additional International Shipping surcharge. International Shipping can be purchased below. Queen Bee Naturals is a trading name of DL McCann Enterprises limited company incorporated and registered in Northern Ireland. International shipping surcharges apply to countries outside Mainland UK and N.Ireland. Current charges are as follows.